They say trends make a comeback and macrame is the comeback we can get behind! 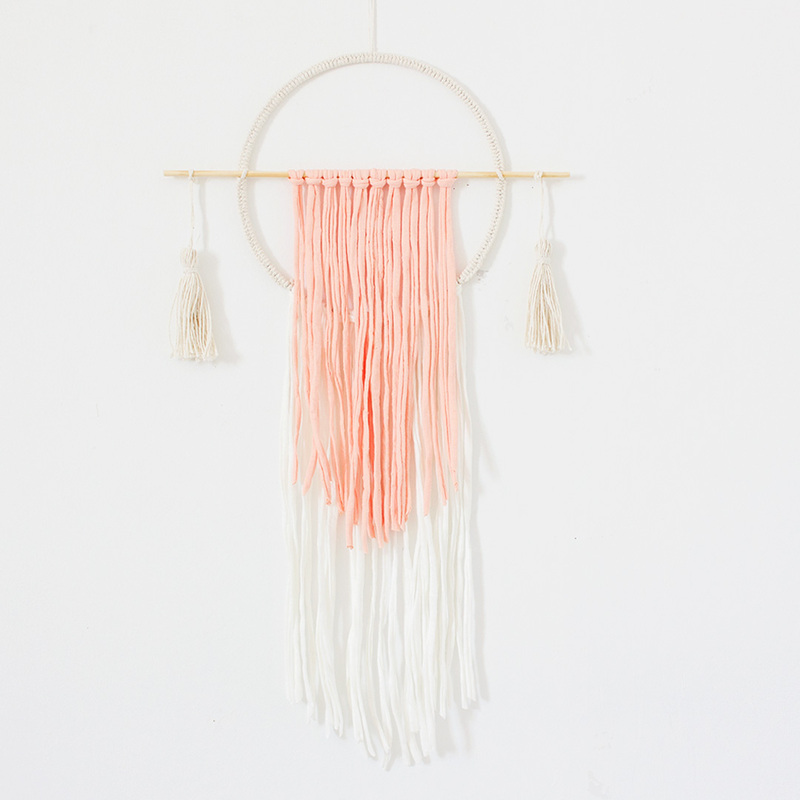 Add a whimsical wall hanging like the Circle T-Shirt Wall Hanging with Tassels – Peach & Natural by Bunni to a room to instantly create a bohemian feel. They say trends make a comeback and macrame is the comeback we can get behind! Add a whimsical wall hanging like the Circle T-Shirt Wall Hanging with Tassels – Peach & Natural to a room to instantly create a bohemian feel.